Outstanding opportunity to design your own custom estate or develop and build on individual home sites. 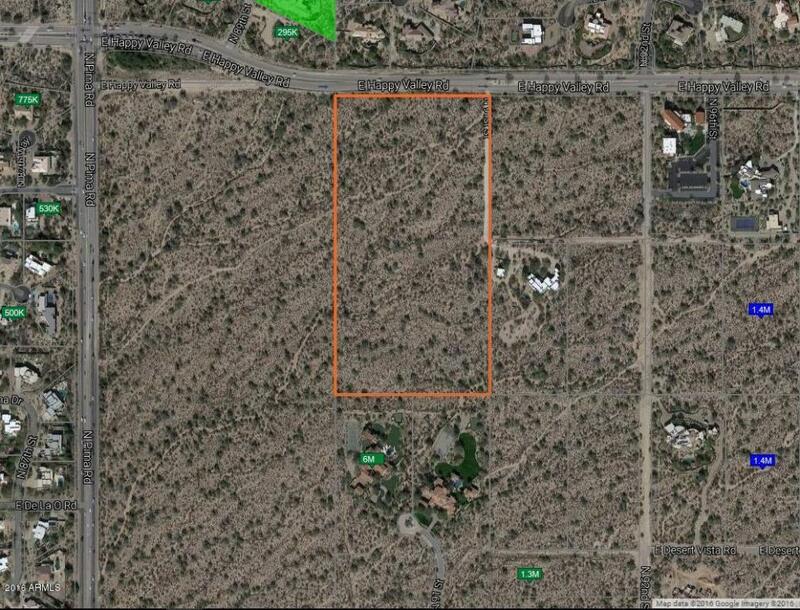 This property measures just under 20 acres of beautiful natural Sonoran landscape, zoned R-190. 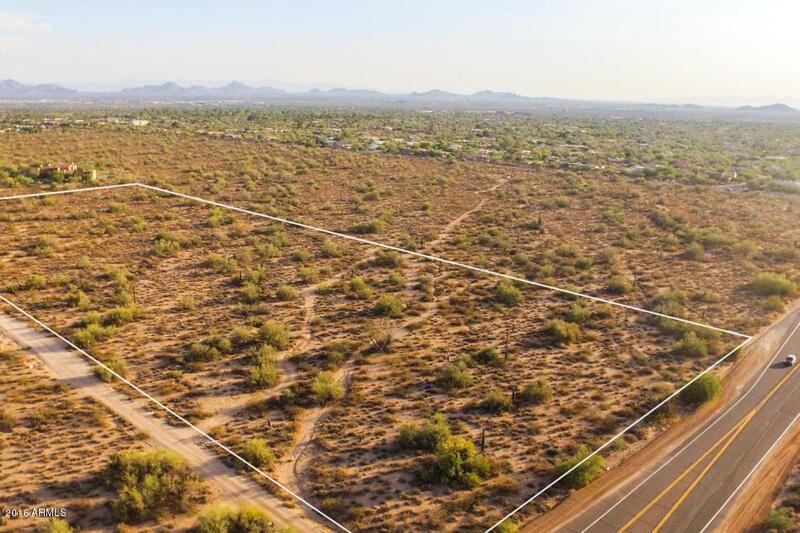 Located in prestigious North Scottsdale, this site boasts twinkling light and spectacular views of Pinnacle Peak, McDowell and the Superstition Mountains. 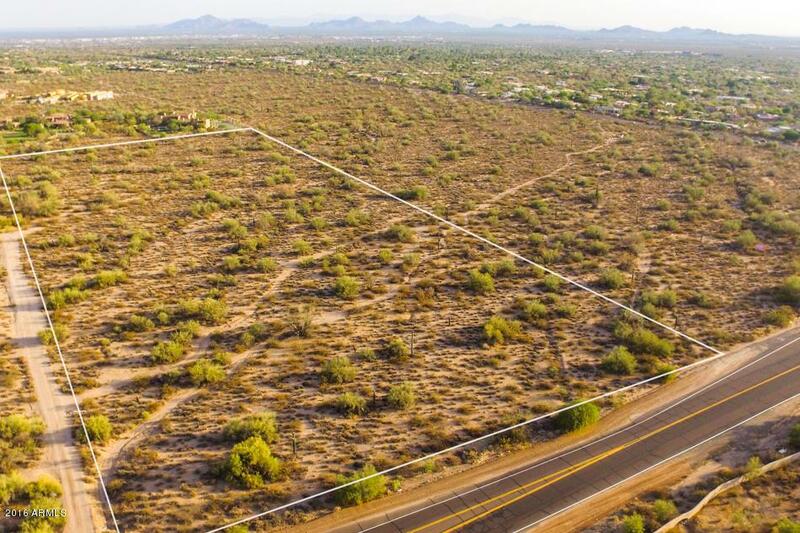 Adjacent to the prestigious golf community of Desert Highlands, this one of a kind, unique property is close to Pinnacle Peak Park with hiking, horse trails, biking and other outdoor activities. Conveniently located close to Scottsdale and Happy Valley, just minutes away from the 101, Scottsdale Airpark and all of excitement and exclusive lifestyle that North Scottsdale has to offer.